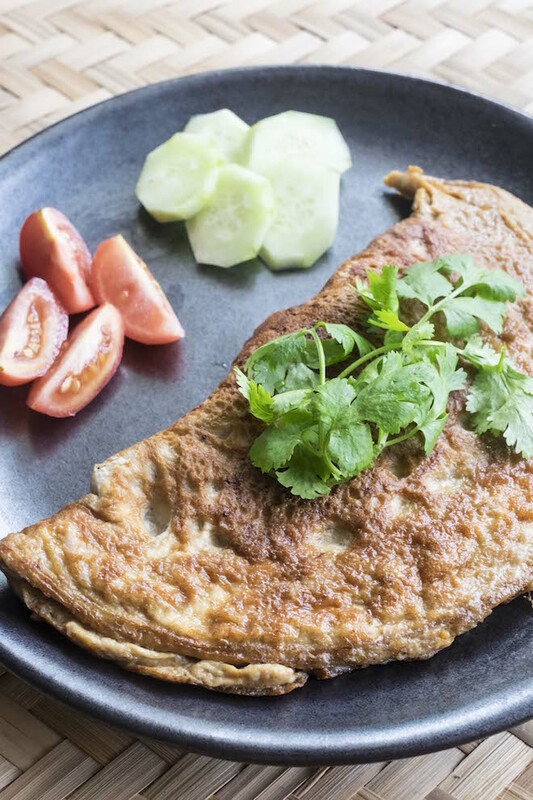 This is the most basic recipe for the Thai omelette and many more ingredients can be added, like spring onion and diced tomatoes. Experiment with the filling and see which you prefer. Serve on a plate, top with torn coriander, and add tomatoes and cucumber to the side. 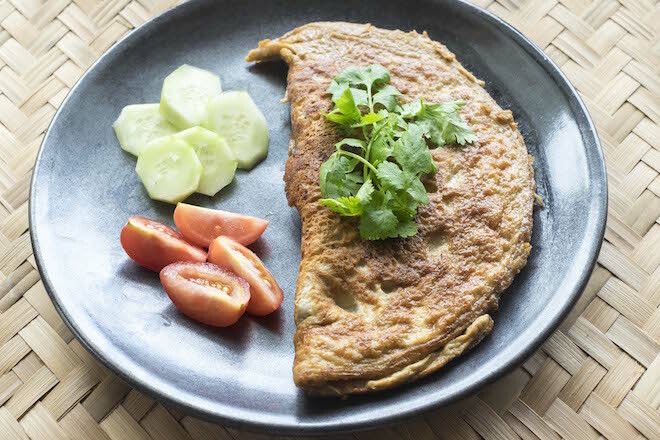 You can also serve Thai omelette with steamed rice in case you are sharing, or just super hungry. Enjoy!